Be the first to hear about their new releases and deals. Download the Booksprout app and search for Cindy Davies today! Cindy lived in a small town on the Black Sea coast of Turkey for two years where she taught English. This was the beginning of a life-long interest in Middle Eastern culture and language. 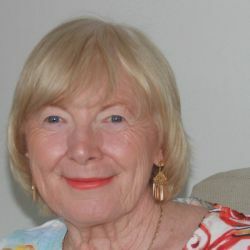 Born in the UK, she emigrated to Australia in 1975 with her family. She’s been an English language teacher, freelance travel writer and tour guide, in both Turkey and Sydney, Australia. Her first novel ‘The Afghan Wife’ is a love story set against the background of the Iranian Revolution in 1979. She’s currently working on a sequel.